Let’s be honest – most years, the Superbowl game is a blow-out and the most entertaining part of the party ends up being the commercials. This year, 20th Century Fox and the popular smart phone game Angry Birds are giving you a special Superbowl treat! When you see the 30-second spot for 20th Century Fox’s upcoming animated film Rio, pay extra close attention. Somewhere within the advertisement will be a single-frame embedded code that unlocks a bonus level on Angry Birds. 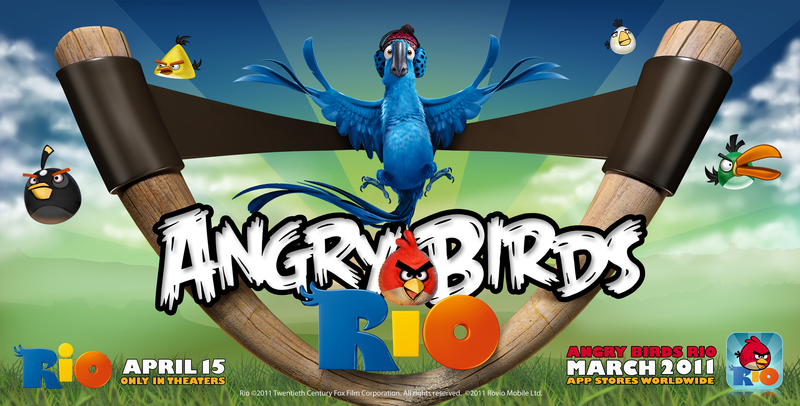 Getting that bonus level will enter you to win the Rio sweepstakes, the winner of which will be flown to the film’s premiere in Rio de Janeiro on March 22 – the same day that the highly anticipated Rio edition of the Angry Birds app becomes available. If you are unable to find the code upon first viewing, don’t fret. The spot will be appear online at https://www.youtube.com/officialriomovie after the Superbowl. From the makers of the hit Ice Age series, Rio is a comedy-adventure, in 3D, about taking a walk on the wild side. Blu is a domesticated Macaw who never learned to fly, living a comfortable life with his owner and best friend Linda in the small town of Moose Lake, Minnesota. Blu and Linda think he’s the last of his kind, but when they learn about another Macaw who lives in Rio de Janeiro, they head to the faraway and exotic land to find Jewel, Blu’s female counterpart. Not long after they arrive, Blu and Jewel are kidnapped by a group of bungling animal smugglers. With the help of street smart Jewel, and a group of wise-cracking and smooth-talking city birds, Blu escapes. Now, with his new friends by his side, Blu will have to find the courage to learn to fly, thwart the kidnappers who are hot on their trail, and return to Linda, the best friend a bird ever had. Rio arrives in theaters everywhere April 15. Good luck!